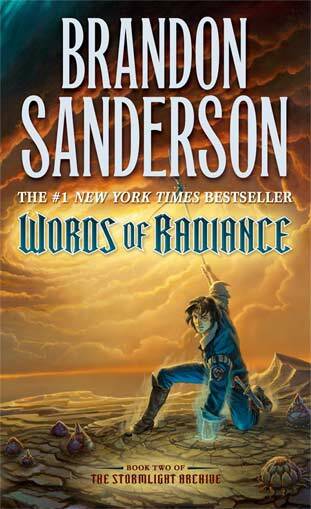 Words of Radiance resumes right where The Way of Kings left off. Shallan and Jasnah are enroute to the Shattered Plains. The Assassin in White is systematically traveling the world assassinating the head of almost every major monarchy. Shallan and Jasnah hold the secret to the end of the war with the Parshendi and the return of the Knights Radiant. But tragedy strikes and Shallan must get the information to Dalinar, if she get there alive. Kaladin struggles to balance out the need for vengeance with honor. Syl continues to help Kaladin develop his gift as a Surgebinder but it all may be for nothing. Dalinar loses friends, loses lives and starts to lose faith. But his losses have only begun. And it is up to him to unite the kingdom. Throughout the book the characters continue to reveal more of their past, helping the reader stop guessing at what actually happened. Because the truth is so horrifying, it can only be revealed in small doses to the reader. Wit and Shallan work to provide comic relief in this epic tale of good vs. evil vs. extremely evil. There are plots within plots within subterfuge while Dalinar starts plucking at the threads one by one. Sanderson gives us someone to hate, to be astounded of, to root for, to mourn for and to rally around. A very satisfying sequel with enough open doors to keep the interest high for the next edition in the series. "I like visiting people in prison. I can say whatever I want to them, and they can't do anything about it." "Are you that afraid of being wrong? One would assume you'd be accustomed to it by now." He grunted. "Be careful, girl. You wouldn't want to accidentally insult a man." "The last thing I'd want to do is accidentally insult you, Vathah," Shallan said. "To think that I couldn't manage it on purpose if I wanted!" 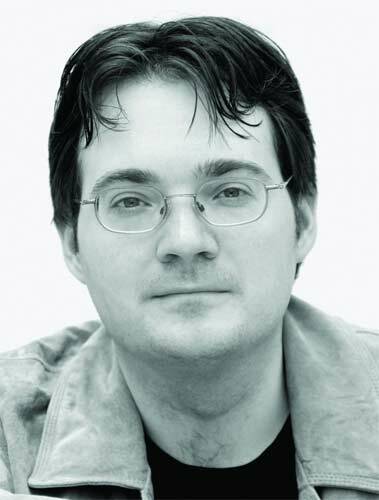 Brandon Sanderson was born in December 1975 in Lincoln, Nebraska. As a child Brandon enjoyed reading, but he lost interest in the types of titles often suggested for him, and by junior high he never cracked a book if he could help it. This all changed in eighth grade when an astute teacher, Mrs. Reader, gave Brandon Dragonsbane by Barbara Hambly. Brandon thoroughly enjoyed this book, and went in search of anything similar. He discovered such authors as Robert Jordan, Melanie Rawn, David Eddings, Anne McCaffrey, and Orson Scott Card. Brandon continued to be an avid reader through junior high and high school. He liked epic fantasy so much that he even tried his hand at writing some. His first attempts, he says, were dreadful. Brandon is working on updates for his In my spare time I read and sleep and eat and try to keep the blog at on his website more or less up to date.